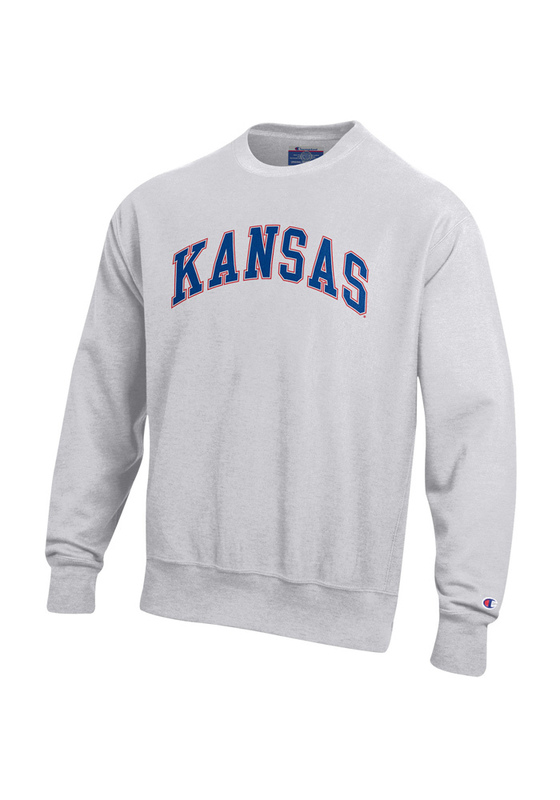 Head out in style with our Kansas Jayhawks Grey Reverse Weave Crew Sweatshirt! This Jayhawks Long Sleeve Sweatshirt features a screen printed `Kansas` wordmark arched across the front. 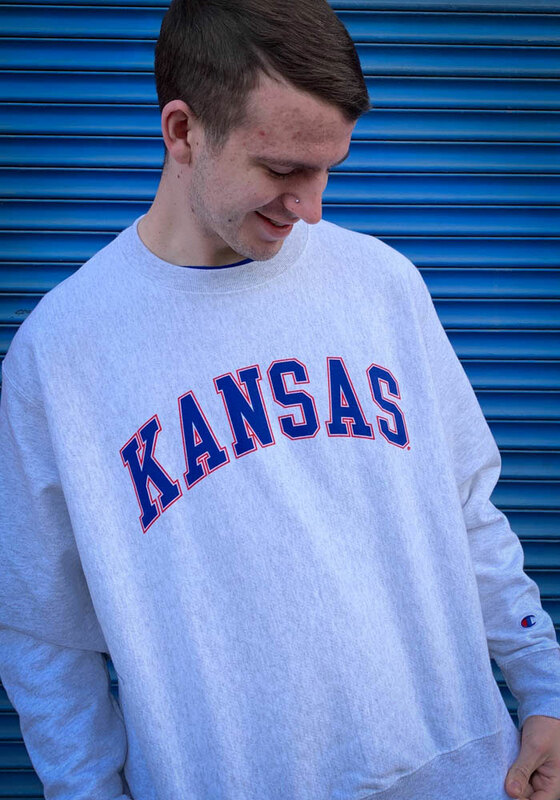 You'll be warm, comfortable and stylish as you head to class, the game or just out on the town in this KU Jayhawks Crew Sweatshirt.